Michael Yarish / AMCHBO CEO Richard Plepler says ‘Mad Men’ is the one series that got away. HBO is known for hits including “True Detective” and “Game of Thrones”; however, there’s one show CEO Richard Plepler wishes the cable network was able to snag. HBO and Showtime both passed on the series about admen in the 1960s before it was picked up by AMC. According to a 2009 Vanity Fair article, HBO originally wanted to make the show under the condition David Chase (“The Sopranos”) was an executive producer. While Chase “championed the script,” he wanted to move away from weekly television. Is HBO sour about the loss? Plepler says not at all. Plepler added it has been that attitude which led to HBO landing John Oliver on the network. 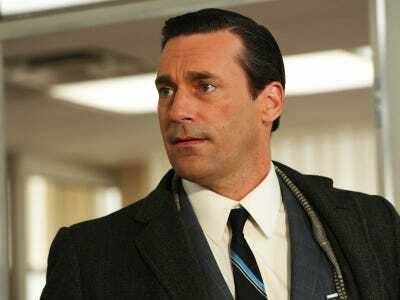 “Mad Men,” starring Jon Hamm and Christina Hendricks, will start the second half of its final seventh season next spring.